(NaturalNews) MSM (Methylsulfonylmethane) is a nutrient that you have consumed in many of the most well-known superfoods. That's because it is an organic sulfur compound that is found in many of the healthiest and most nutritionally synergistic foods that we eat such as broccoli, cabbage and Bbrussels sprouts which give off a distinct odor when cooked. It can also be found in smaller concentrations in some meat and dairy products. Minimal processing and heating of these foods keeps the highest level of MSM intact for maximum nutritional benefit since it is destroyed in foods where over-processing occurs. The supplement form of MSM is a white, odorless powder and is most well known for its use as a natural arthritis remedy since it helps to soften the joint tissue and restore flexibility. This is one of the primary reasons MSM is so effective as a topical skincare ingredient, among other properties it possesses. It is water soluble as a supplement, so will not build to toxic levels as your body just uses what is needed and flushes the rest out. 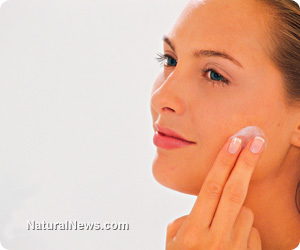 Some people also report they experience improved skin when supplementing with MSM internally. This is no surprise since our skin cells are also "soft tissue" cells that need to retain their pliability and flexibility, and this compound helps the cells do just that both topically and internally. MSM softens the skin and makes it smoother, more hydrated and "flexible"
MSM has a softening, deeply penetrating effect on the skin when applied topically. It has the unique ability to penetrate several skin layers and therefore provides a better, more deeply hydrating and smoothing effect for longer periods of time. For this reason, it is one of the best ingredients to look for if you have chronically dry or mature skin that has lost a lot of its elasticity. The sulfur compound also has an anti-inflammatory and skin-repairing effect, which may be useful for inflammatory skin conditions such as eczema, acne and psoriasis. It also may help smooth and soften acne scars and hasten the healing of existing lesions. MSM helps make the skin cells more permeable, and therefore more absorbent and receptive to plumping and hydration. This means that if it is an ingredient in your facial moisturizer, it can help the other ingredients gain entry to the skin cells in order to hydrate them more effectively. It can also accomplish this when taken internally as a supplement, especially when plenty of water is taken in throughout the day to enhance consistent skin hydration. MSM has been reported to help reduce hyperpigmentation issues such as melasma, pink or faded-red acne scars, age spots, freckles and sun damage both as an internal supplement and external application although most people consistently reported greater success when using it topically for this purpose. It has a brightening and luminizing effect on the skin overall when applied topically, and over time may also help reduce uneven skin tone and help correct areas of darker pigmentation as well. Since MSM makes the skin cells more permeable, it may very well have to do with the synergy of other lightening ingredients contained in a cream or lotion, so it may also allow natural skin brighteners to better penetrate the skin. The exact mechanism of this topical skin-lightening and brightening effect is not clear, although it is likely due to its ability to soften the cells.